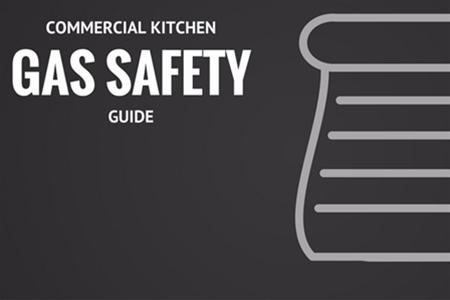 Gas safety is such a critical part of the general safety guidelines in a commercial kitchen. The standard for safety and operations for a commercial kitchen have to be adhered to. Gas units and appliances have to be installed, fitted, operated and repaired by competent persons. Regularly serviced and maintained gas systems would prevent fire, the production of toxic carbon monoxide and even an explosion. Properly maintained gas systems will ensure that your staff has a safe and comfortable working environment. The relevant laws governing the use of cooking gas in commercial kitchens are the Provision and Use of Work Equipment Regulations and the Gas Safety (Installation and Use) Regulations 1998. The Danger Signs With Gas Appliances. When using gas appliances, certain warning signs become clearer as the quality and safety deteriorate. The presence of yellow or orange flames rather than blue flames signifies poor air circulation. When you notice soot or yellow/brown staining around or on appliances, then you should immediately conduct an inspection and plan for a proper cleaning session. When you have Pilot lights that frequently blow out, then you probably are dealing with malfunctioning gas appliances. Lastly always watch out for increased condensation inside windows in the kitchen. There are national guidelines on the safety gauges and measurement of standard gas units and systems in the country. It is critical that your kitchen complies with these certain gas safety standards. Gas cookers and hotplates must have adequate clearance from combustible items or surfaces. First, the range-hoods must be at least 600mm above the cooking appliance. Secondly, the exhaust fans must be 750mm above the appliance. Thirdly the burners must have clearances of 200mm unless the nearby wall or surface is suitably protected. Always keep highly combustible fluid locked up in safes and drawers around the kitchen. Gas equipment, gas hoses, and appliances must only be installed, maintained, serviced, and repaired by a Gas Safe registered engineer. A gas safety engineer should inspect the gas appliances, safety devices, flues, and pipework at set time intervals. Once a year is the best interval, or you can have it carried out as per the manufacturer’s recommendation. Gas escapes or water leaks occur when the equipment or services are not correctly fitted or maintained. This could result in an appliance that leaks out poisonous fumes into the workplace. Make sure a list of safety procedures is pinned on the wall for all employees to adhere to. A stop button or an emergency isolation valve (EIV) must be fitted with the kitchen’s gas supply. It should be accessible at any moment by all staff. In the absence of an EIV, an emergency stop button/control must be fitted with the gas systems. A safety notice must be displayed next to the Emergency Control button or the EIV. This ensures that the gas supply can be turned off in case of an emergency. The emergency stop button or EIV should be located outside the building in an accessible area or near the kitchen exit. Every regular worker and catering staffer who works in the kitchen should be trained on how to conduct a visual check and how to activate the emergency button. When the gas system is properly working, the flame should be blue. Even then some equipment are designed to produce a yellow flame. However, this is limited to particular gas appliances, and you must confirm from the manufacturer’s manual. Most gas equipment now have inbuilt pilot light systems and ignition. If they aren’t fitted, then you can use appropriate gas igniters. Avoid using flamed paper or matches. When the flame is yellow, it means there is not enough oxygen in the room. This could also mean that the kitchen ventilation is insufficient or ineffective. It could be proof of a build-up of debris on your cooker rings. The use of manual ignition of gas-fired catering equipment is the leading cause of minor injuries and some major burn injuries in many commercial kitchens. All gas appliances that generate fumes and heat must be fitted with canopy hoods. The canopy ought to be at least 2 meters from the ground floor and should extend at least 300mm beyond the edge of the appliances. It should be designed in such a way that it ensures the efficient removal of cooking fumes. A proper canopy has to be of a suitable size and has sufficient extraction to minimize smoke spillage around the kitchen. Windows and doors aren’t considered part of the ventilation as they can be closed when it is raining or during cold. Any permanent air vents in the kitchen should be positioned where they cannot be blocked up by the catering staff. Nearly all commercial gas ovens (Type A) do not need a flue system. A flue is a duct for smoke and waste gasses produced by fire or a gas heater installation. However, the Type B gas systems which have a combination of ovens and deep fat fryers have to be connected to a flue system. Some manufacturers permit the use of gas appliances without a flue system if the appliances are under a canopy. In such instances, the canopy performs the same role as the flue system, and the regulations require an interlock. A qualified gas installer can advise you whether your current gas systems require an upgrade to provide an interlock. An interlock is a system that shuts off the gas supply to your appliances if there is inadequate air movement. There are a number of gas safety hazards that are often visible even to the most casual observer. First, when a room has unused or unreliable ventilation, then you are dealing with a ticking time bomb. The risk of fire and injuries is greatly magnified. Secondly, if the commercial kitchen to gas appliance ratio renders it to be small or insufficient, then there are greater risk of harm. Small commercial kitchens with large appliances hinder movement and put items too close to each other. Thirdly, when you have extensive use of gas appliances for long periods of time, then the wear and tear make them hazardous. It’s very critical to know when to replace some of the aging systems. Otherwise, the kitchen becomes increasingly prone to leaks and possible explosion. Gas ovens and burners must be kept free of dirt and debris which may block up the gas ports and lead to poor ignition and flame quality. This is covered in Acts such as the Guidance on the Control of Odour and Noise from Commercial Kitchen Exhaust Systems (DEFRA 2005). There has to be timed inspections and cleaning of the entire gas unit from appliances and ducts to cylinders and burners. All metals surfaces have to be inspected for rust, grease, or accumulated dust as well as surface damage. The grease filters and cooker hoods should be cleaned on a daily basis. The collection drawers and the baffle filters should be cleaned weekly. The mesh filters should be cleaned at least twice a week. The extract ductwork should be cleaned every three to six months depending on the frequency of usage. Despite taking all precautions, sometimes gas accidents are inevitable and beyond your control. There are a number of steps you can follow to address the crisis. The sooner you activate them, the higher the chances of minimizing damage and loss. First, switch off all gas appliances through the emergency button or EIV. Secondly, isolate and eliminate potentially flammable materials and ignition sources. Thirdly evacuate the building and ensure everyone has left the kitchen. Make sure you carry out a quick headcount to ascertain that everyone made it out to safety. After that immediately notify the utility company. Do NOT rush back to try and salvage anything till the emergency crews arrive. Know the Symptoms of Gas Poisoning. One thing you ought to do when installing the gas systems is to ensure that the engineer fits a carbon monoxide poisoning alarm. An alarm is the best precaution since you can’t taste, smell or see carbon monoxide. Therefore make sure they install an audible carbon monoxide alarm. These alarms cost as little as £30. In case of an actual leak, there are a number of common symptoms of gas poisoning. These include headaches, dizziness, nausea, loss of consciousness, breathlessness. This could be confirmed if other people around you experience the same problem in the kitchen. In case of gas poisoning, move the person to a cool shade where there is good air circulation. After that monitor, the victim's breathing and pulse. Once you have ascertained that the person suffers from gas poisoning do not try to induce vomiting unless you are a trained health professional. If the individual starts convulsing administer convulsing first aid. The victim should be rolled on the left side and remain in that position till medical help arrives. These safety rules apply for both stationary and, house-based and mobile comemrical kitchens.